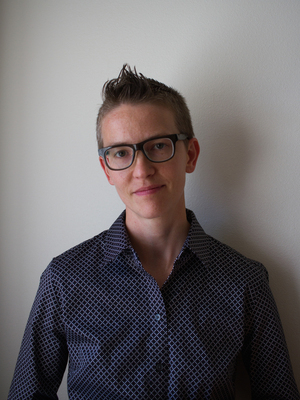 Harmony Bench is Assistant Professor of Dance at The Ohio State University, where she is affiliated faculty with Theatre; Women’s, Gender, and Sexuality Studies; and Translational Data Analytics. She co-edits The International Journal of Screendance with Simon Ellis. Bench’s research revolves around encounters between bodies and machine/media technologies. Her work asks how people leverage the various technologies at their disposal for cultural expression, political control, and social action, and how technologies facilitate the circulation and transmission of movements, gestures, and even bodily schema. Her writing has appeared in the Oxford Handbook of Dance and the Popular Screen, Choreographies of 21st Century War, and Dance on Its Own Terms as well as Dance Research Journal, The International Journal of Performance Arts and Digital Media, Participations, and Performance Matters, among others. Projects underway include a book in contract with University of Minnesota Press, entitled Dance as Common: Movement as Belonging in Digital Cultures, as well as various projects gathered under the umbrella of Movement on the Move (online, forthcoming), including the database-oriented Mapping Touring, which focuses on the performance engagements of early 20th century dance companies, and Dance in Transit, undertaken with Kate Elswit, which explores the touring and travel of choreographer Katherine Dunham. These projects can be previewed at harmonybench.wordpress.com.